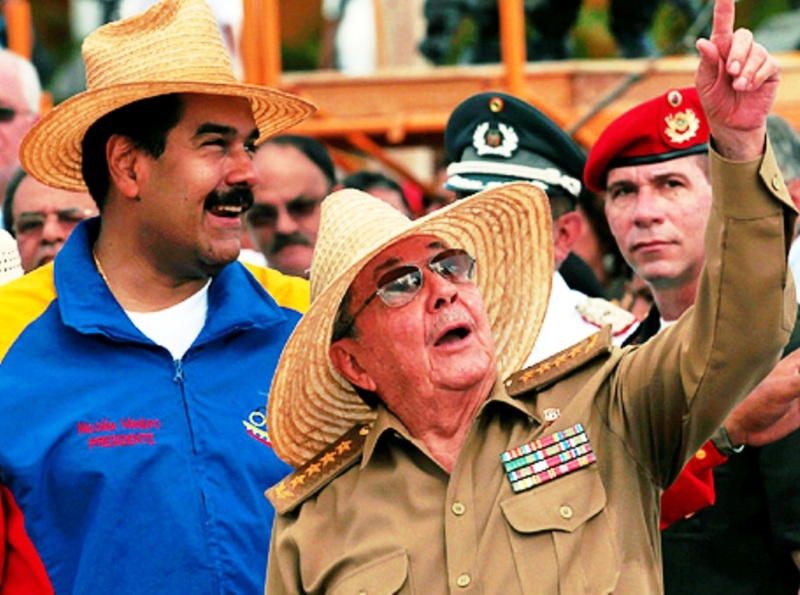 VENEZUELA: THE REVOLUTION AT BAY with major implications for Cuba! Mr Rondón’s rambling remarks over the next 45 minutes belie that claim. Saying Venezuela is faced with an “economic war”, he calls on his audience to check food queues for outsiders, who might be profiteers or troublemakers, and to draw up a census of the district to identify opposition activists and government supporters. “We must impose harsh controls,” he warns. “This will be a year of struggle”. About this, at least, Mr Rondón is correct. Sixteen years after Hugo Chávez took power in Venezuela, and two years after he died, his “Bolivarian Revolution” faces the gravest threats yet to its survival. The regime is running out of money to import necessities and pay its debts. There are shortages of basic goods, from milk and flour to shampoo and disposable nappies. Queues, often of several hundred people, form each day outside supermarkets. Ten patients of the University Hospital in Caracas died over the Christmas period because of a shortage of heart valves. Both debt default and the measures that would be required to avoid one pose risks to the regime. It is on course to lose a parliamentary election later this year, which might then be followed by a referendum to recall Chávez’s inept and unloved successor, Nicolás Maduro. That could bring Venezuela’s revolution to a peaceful and democratic end as early as 2016. But there are darker possibilities. Caracas buzzes with speculation that the armed forces will oust the president. Venezuela is suffering from the combination of years of mismanagement and corruption, and the collapse in the price of oil, which accounts for almost all of its exports. Chávez, an army officer, was the beneficiary of the greatest oil boom in history. From 2000 to 2012, Venezuela received around $800 billion in oil revenue, or two-and-a-half times as much in real terms as in the previous 13 years. He spent the money on “21st-century socialism”. Some went on health care and low-cost housing for the poor, who hailed Chávez as a secular saint. Some has gone on infrastructure: a few new roads and metro lines were built, years behind schedule. Another chunk was given away in the form of cheap oil to Cuba and to other Caribbean countries, assuring Chávez loyal allies. Perhaps the biggest slice was frittered away or simply stolen. Filling a 60-litre tank with petrol costs less than a dollar at the strongest official exchange rate. Unsurprisingly, petrol worth $2.2 billion a year, according to an official estimate, is smuggled to Colombia and Brazil, with the complicity of the armed forces. MARCO RUBIO, a prospective Republican candidate for the White House, called it “a victory for oppressive governments the world over”. Only “the heinous Castro brothers, who have oppressed the Cuban people for decades” will benefit, thundered Jeb Bush, a likely rival, who is also based in Florida. The object of their fury: Barack Obama’s startling decision to loosen America’s 54-year-old embargo on Cuba. Cuba’s Communist government is indeed oppressive, while the Castro brothers can fairly be called heinous and will probably do all they can to maintain control. Raúl Castro, who took over from Fidel in 2008, has said he will step down in 2018, but that is not a prelude to free elections. Nonetheless, easing the embargo is the right thing to do. The measures that Mr Obama and Mr Castro announced on December 17th—including a deal to restore diplomatic relations and the liberalisation of travel and remittances—will do much to normalise a relationship that has been trapped in the sterile logic of the cold war. But its significance goes beyond that. The embargo warps the United States’ relations with other Latin American countries, as well as their relations with one another. The Economist has long argued that the embargo is self-defeating. Rather than ending the Castros’ rule, it has provided an evergreen excuse for their failures and so helped maintain them in power. The embargo kept Cuba out of international bodies such as the Organisation of American States, where other countries could have prodded the island towards greater openness. It put the United States at odds with most of its allies and nearly every other country in its hemisphere. It would be much better if the embargo were got rid of entirely, but its partial lifting is a step towards normality for the whole region. So far most of the attention has been on Cuba. The Castros agreed to release 53 political prisoners (along with an aid worker and an American spy). Cubans will have more access to the internet, which should loosen the regime’s weakening grip on information. As Cuba’s relations thicken with the democratic giant next door, its citizens’ demands for freedom may grow more insistent. There is no guarantee that such engagement will unseat the Castros, but the embargo has manifestly failed for half a century. It has only remained there because of the political clout of a dwindling number of elderly Cuban exiles in Florida (which also explains the outrage of the normally more sensible Messrs Bush and Rubio). But the biggest prize should be the advance of democracy and open markets in Latin America. The Castros are not the only ones who will be discomfited by the loss of the American alibi. Venezuela leads a loose coalition of countries that uses defiance of the United States as an excuse for policies that stunt economic growth and democratic rights. It has long supported Cuba (and other Caribbean countries) with sales of oil at heavily subsidised prices. Even for robustly democratic countries like Brazil, the American bogeyman makes it easier to justify resistance to trade deals and to cosy up to uglier regimes. Now this depressing narrative may change. Venezuela’s government, reeling from the drop in oil prices, faces difficult parliamentary elections in 2015. Argentina’s next president is likely to be less prickly towards the rest of the world than Cristina Fernández de Kirchner, who will stand down in 2015. Colombia, an American ally, may end its 50-year war with the leftist FARC guerrillas if peace talks succeed. Dilma Rousseff could be a more pragmatic president in her second term. The scene is set for a new realism in Latin America. As commodity prices tumble and economic growth stalls, the region needs open markets, trade and regional co-operation—including with the yanquis to the north. With his move on Cuba, Mr Obama has opened the way for the sort of diplomatic engagement that Latin America rarely enjoyed during his first six years in office. But Latin America needs to return the compliment. The time for sulking and striking poses is over—in Brasília and Caracas as well as Havana and Miami. In a surprise announcement on December 17th the US president, Barack Obama, and the Cuban president, Raúl Castro, announced a significant thaw in relations between their respective countries. The move has major implications for Venezuela, Cuba‘s main ally. The Venezuelan president, Nicolás Maduro, appeared to be caught unawares on December 17th, right in the middle of a rhetorical campaign against “insolent, imperialist” sanctions passed by the US Congress just one week beforehand. Unlike the decades-old Cuba embargo, the sanctions are targeted at senior Venezuelan government officials accused of committing human rights violations. However, just as members of the ruling Partido Socialista Unido de Venezuela (PSUV) were being invited to burn their US visas in public, Cuba was announcing the restoration of diplomatic relations with the US. The process that led to the announcement, it is now clear, began not long after the death of Mr Maduro’s predecessor and mentor, the former Venezuelan president, Hugo Chávez (1999-2013). The Cuban government, which has benefited from billions of dollars in Venezuelan subsidies—including cheap oil under the PetroCaribe oil-financing initiative—needed a “plan B”, given the severe economic crisis facing the Maduro government and the likelihood that it would be unable to resist mounting pressure to divert resources away from foreign aid. 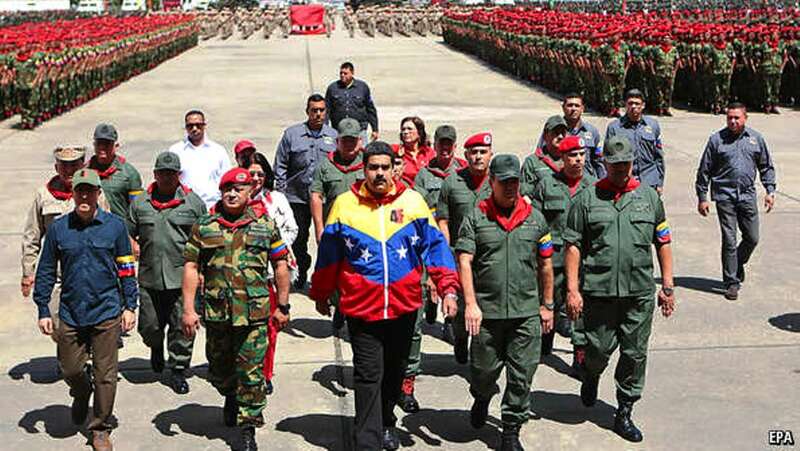 However, with an extensive network of Cuban intelligence agents given free rein in Venezuela—particularly in the barracks—Mr Maduro must now be wondering what else has been (or might be) negotiated behind his back. At the very least, the news of a US-Cuban rapprochement will exacerbate resentment in the military over its subordination to Cuban officials who, it seems, gather intelligence but do not share it. There is also some confusion within the ranks of the PSUV, whose militants find it hard to understand why Mr Obama is allegedly seeking to overthrow Mr Maduro, but is happy to shake Mr Castro’s hand. Anti-imperialism is a handy tool with which to maintain unity against an external enemy. However, it is hard to wield when your best friend is embracing the “empire” (swiftly renamed “the giant of the north” in Mr Maduro’s post-announcement comments). Cuba has for decades played a useful role for Latin American governments of both left and right. “Solidarity” with Cuba has been a convenient, mainly risk-free way to stand up to the US government and beat the nationalist drum. Now Venezuela faces the prospect of replacing Cuba as the US’s main adversary in the region—just as its economy is imploding and its governability is at risk from internal dissent—or capitulating and losing the support of the already-restive domestic left. The timing could hardly be worse for Mr Maduro. IT HAS long been one of the great anomalies of American foreign policy. The United States normalised relations with Communist China and even with Vietnam, with which it fought a bitter war costing more than 50,000 American lives. But ties with Cuba, which long ago ceased to pose any threat to America, remained frozen in the Cold War. Maintaining the economic embargo against the communist island first imposed in 1961 was about revanchism and Congressional politics, not foreign policy. On December 17th Barack Obama announced sweeping changes which go a long way to bring policy towards Cuba into the 21st century. The two countries will start immediate talks on restoring diplomatic relations and re-opening embassies. The president will use his executive authority to loosen the ban on travel to the island; raise the limit on remittances to ordinary Cubans and their small businesses from $500 per quarter to $2,000; and allow exports of building materials, farm equipment and telecommunications gear. Americans will be able to use their credit and debit cards on the island. The administration is also preparing to remove Cuba from its list of states that sponsor terrorism. 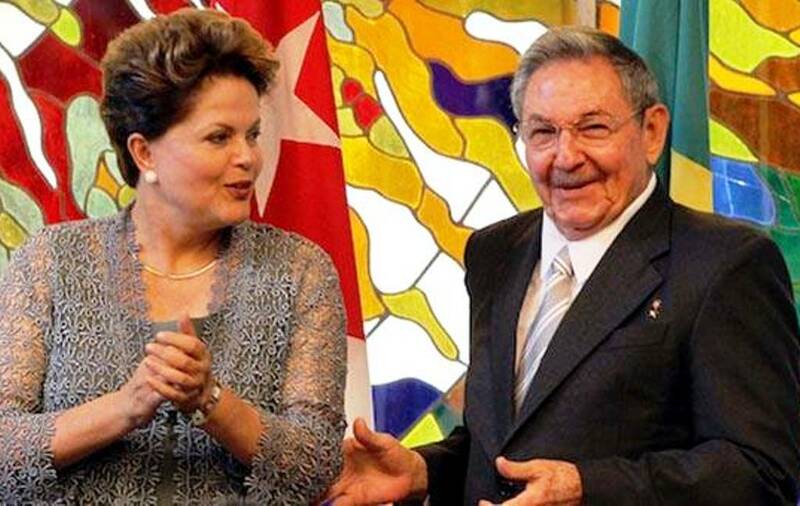 These announcements followed 18 months of secret talks in Canada between American officials and the government of Raúl Castro, who replaced his elder brother Fidel as Cuba’s president in 2008. The talks were encouraged by Pope Francis. They culminated with a 45-minute phone call between Mr Obama and Mr Castro on December 16th. The biggest stumbling block to any change in the embargo was the incarceration of Alan Gross, a worker for the United States Agency for International development, who was jailed in 2009 for handing out satellite-communications gear on the island. Mr Gross, who is in very poor health, was freed on December 17th (he is pictured below with his wife, Judy, after his release). Freed too, and sent to the United States, was a Cuban whom Mr Obama said was “one of our most important intelligence agents”, as well as 53 Cuban political prisoners from a list provided by the United States. In return, the United States has released three Cuban spies serving long sentences after being arrested in 2001 for snooping on exiles and American military bases in Florida. In seeking to normalise diplomatic relations, the administration recognised what has long been clear to the outside world: the embargo has manifestly failed to topple the Castros. Under Raúl Castro change has slowly started to come to Cuba from within. Private farmers, small businesses and co-operatives now make up around a fifth of the island’s labour force. The United States’ Cuba policy also put it at odds with the whole of Latin America, which now favours normal ties. Mr Obama said he would attend the Summit of the Americas in Panama in April, to which Mr Castro has also been invited. He said he would continue to press for human rights and democracy in Cuba. 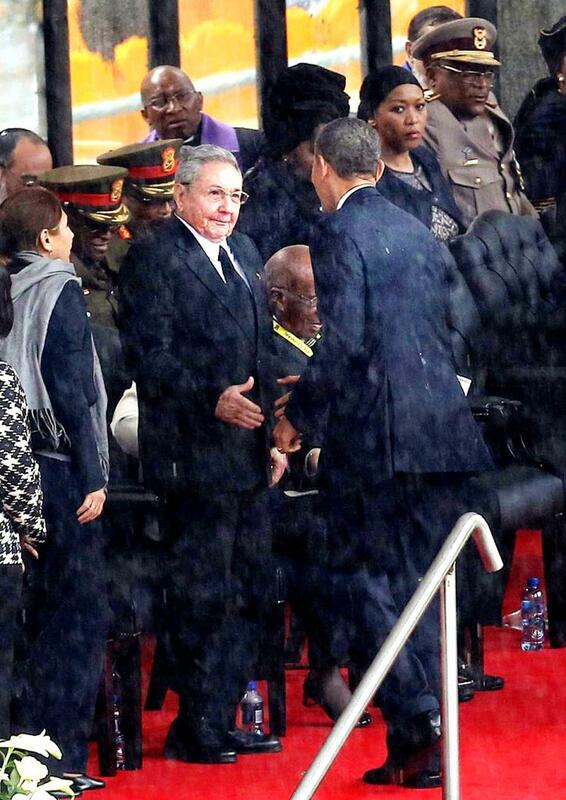 As for Mr Castro, it is not hard to see why he is interested in closer ties with the United States. For the past dozen years, Cuba’s moribund economy has been propped up by subsidies from Venezuela, mainly in the form of cheap oil. 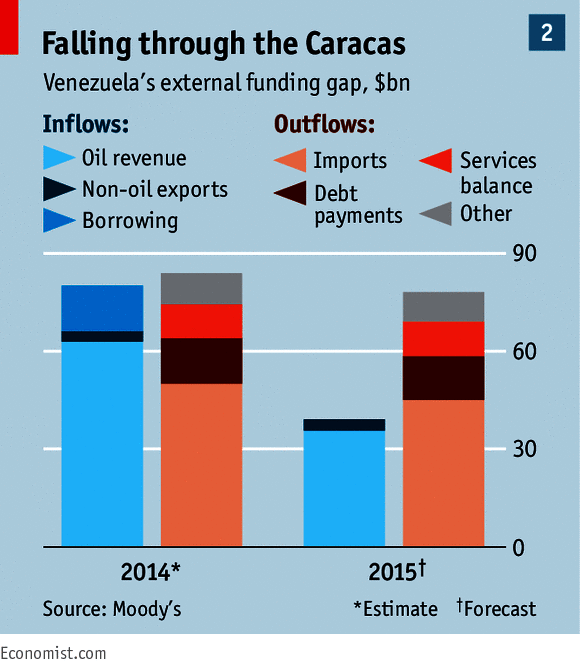 The fall in the oil price has pushed Venezuela’s economy into a deep recession. The approval rating of its president, Nicolás Maduro, has plunged to 25%, casting uncertainty over the durability of Venezuelan aid. Mr Castro said the agreement to restore diplomatic relations “doesn’t mean that the main thing [ie, the embargo] has been resolved”. Only the United States Congress can repeal the embargo. What Mr Obama has done is remove some of its teeth. The president can count on public opinion in this issue, which in recent years has swung against the embargo. In an apparent attempt to mollify the pro-embargo camp, the administration recently dropped its previous opposition to a bill, approved earlier this month, imposing targeted sanctions against Venezuelan officials involved in repressing opposition demonstrations earlier this year. But none of this will assuage the president’s conservative critics in Congress. Mr Gross considered himself a “hostage” rather than a prisoner, and Mr Obama’s opponents pounced on the swap as endangering American lives, as well as coddling a dictator. 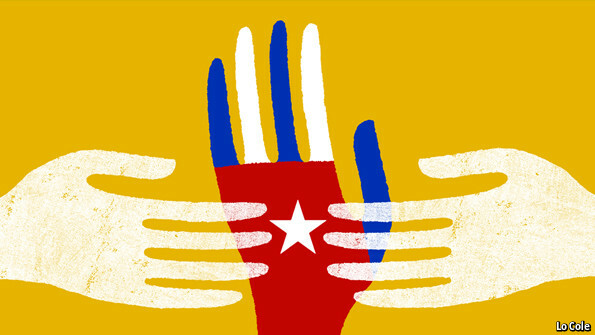 Just how far détente between the United States and Cuba will go is not yet clear. “I don’t expect a transformation of Cuban society overnight,” said Mr Obama. But he is surely right in saying that after half a century of failure in trying to isolate Cuba, it is worth trying to promote change there through engagement. HAVING got immigration reform off his chest, will Barack Obama unsheathe his executive-order pen again to tackle another intractable subject on which Congress has blocked change for decades? The United States imposed an economic embargo on Cuba back in 1960 as Fidel Castro was forcing communism on his people. The embargo was meant to topple Mr Castro. Today he enjoys a tranquil retirement in a Havana suburb while his slightly younger brother, Raúl, runs the country. 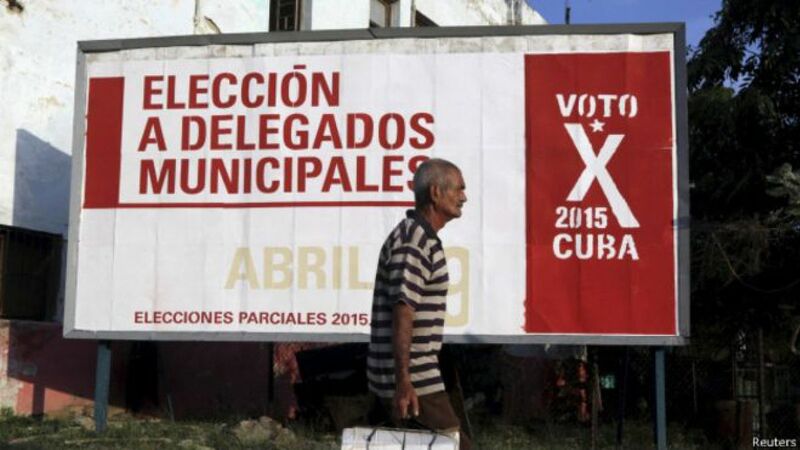 The embargo has not just failed; it has also given the Castros a potent propaganda weapon. It still has diehard defenders in Congress, which under a law from the 1990s is the only body that can repeal it. Even so, Mr Obama has some scope to change the policy. Indeed, in his first term he lifted restrictions on travel and remittances to the island by Cuban-Americans. There are several reasons why he might now want to do more. First, support for the embargo across America is crumbling. A nationwide poll taken earlier this year for the Atlantic Council, a think-tank, found that 56% of respondents favoured improving relations, while more than 60% of Latinos and residents of Florida did. Second, Cuba is itself starting to change. Under reforms launched by Raúl Castro, 1.1m Cubans, more than a fifth of the labour force, work in a budding private sector of farms, co-operatives and small businesses. Access to mobile phones and the internet has grown. Opposition bloggers such as Yoani Sánchez, though often harassed, have not been silenced. 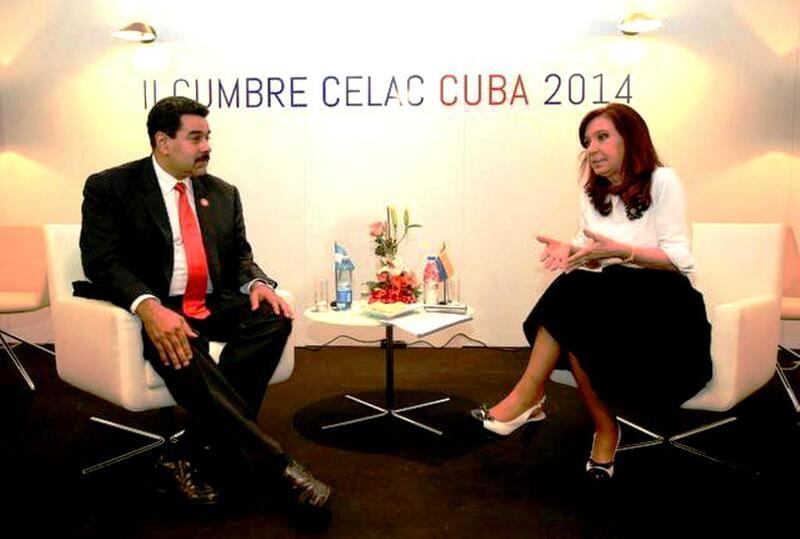 The third reason for action is that Cuba is one of the few issues that unites Latin America. The region is unanimous in believing that, notwithstanding its Communist regime, the island should be accorded a normal place in relations in the Americas. That consensus lies behind the decision of Panama to invite Raúl Castro to the Summit of the Americas, a gathering that it is due to host in April. The previous six summits have been restricted to the hemisphere’s democracies. This leaves Mr Obama with a dilemma. This is not so much over whether or not to attend. He probably will. Rather, it is whether to act between now and then to stop the embargo becoming an issue that dominates the summit. 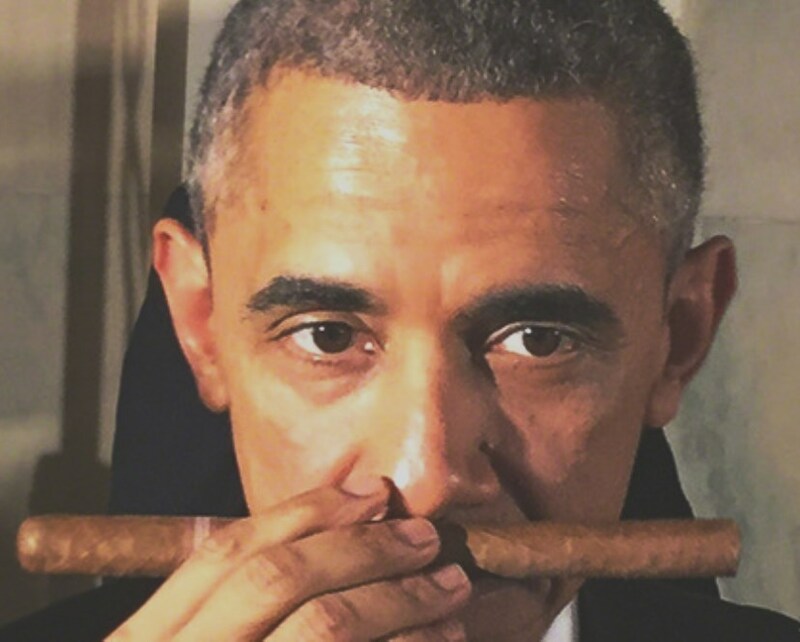 Mr Obama could, for example, issue a general licence for all Americans to travel to Cuba. He could also remove Cuba from the State Department’s list of “state sponsors of terrorism”, on which it sits alongside only Iran, Sudan and Syria. There are no grounds for Cuba still to be there. In October the Financial Action Task Force, an inter-governmental body, removed Cuba from its watch list of countries doing too little to prevent money laundering and terrorist financing. But the administration has not yet asked the State Department to remove Cuba from its terrorism list. Although Mr Obama has little to lose from loosening the embargo, he also has little to gain. Raúl Castro’s economic reforms have stalled recently; he never intended them to lead to political change. The Cubans show no sign of being prepared to release Alan Gross, an elderly American aid worker jailed for illegally handing out telecoms equipment. They want to swap him for three Cuban spies serving life terms for snooping on hardline exiles in Miami. 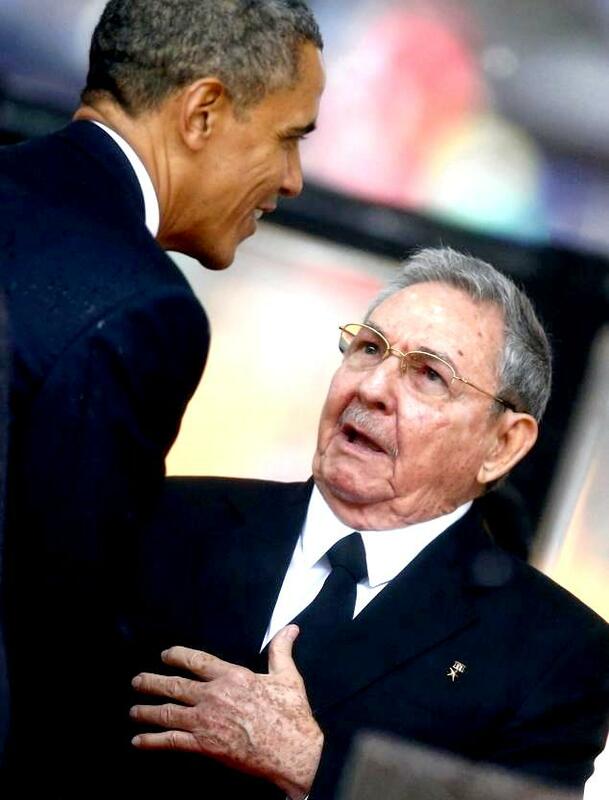 Even so, it would be surprising if Mr Obama did not take some action on Cuba before the summit. Oddly, pushback from the defenders of the embargo in Congress may take the form of sanctions on Venezuela, which provides the island with a subsidy (in the form of cheap oil) equal to perhaps 15% of its GDP. A bill to deny visas and freeze bank accounts of Venezuelan officials implicated in the repression of protests earlier this year is stalled in the Senate. Once the new Republican majority takes control in January, it is likely to move forward. Anthony Blinken, Mr Obama’s nominee for deputy secretary of state, told a Senate committee on November 19th that the administration “would not oppose” this—a reversal of its previous stance. For anyone who wants to see change in Venezuela, this is depressing. The plunging oil price and economic mismanagement are weakening President NicolásMaduro’s elected authoritarian regime. The crucial issue is ensuring that a legislative election next year is free and fair. Sanctions, however limited, will boost MrMaduro’s declining popularity and give him an excuse to crack down, as some opposition leaders recognise. The lesson of Cuba is that pressure from Washington does not lead to democratisation. It would be a sad irony if the beginning of the end of one futile embargo coincided with the birth of another. 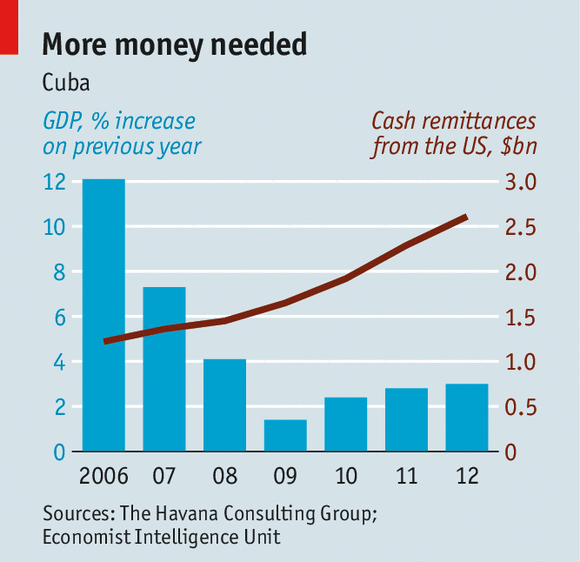 In fact, they are more likely to be pouring money into Cuba than shunning it. Remittances, as well as travel, have risen since President Barack Obama eased restrictions in 2009 and 2011 (see chart). Much of the money has found its way into restaurants (known as paladares), hairdressers or other small businesses run by relatives in Cuba. That has given Cuban-Americans an increasing, albeit hidden, stake in the island’s economic future. HOW best to speed change in Cuba? The past few weeks have brought three different answers to that question, from the United States, the European Union and Latin America. For more than 50 years the official American answer has been to try to asphyxiate Cuban communism through an economic embargo, and to encourage internal dissent. It was policy as tantrum, a counterproductive failure. 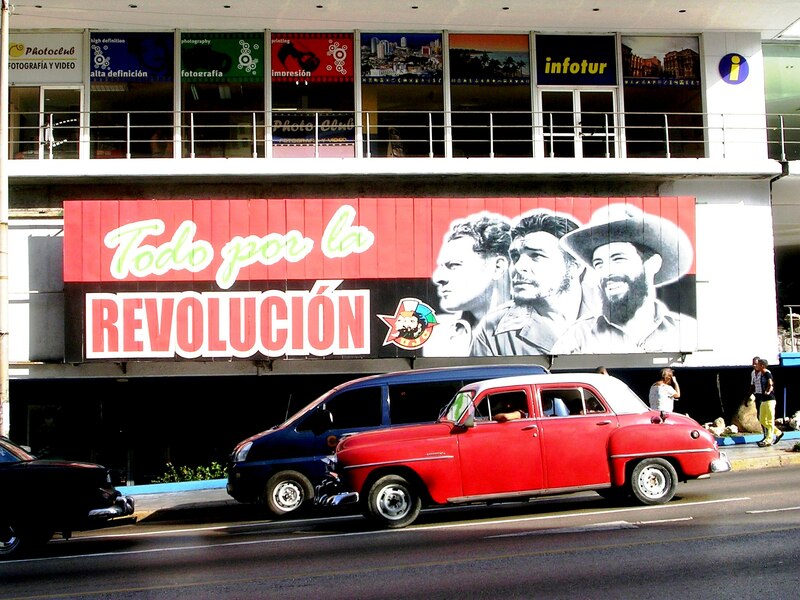 Change is coming to Cuba—but from the top, not below. Since replacing his elder brother, Fidel, as Cuba’s president in 2008, Raúl Castro has unleashed economic reforms which, while officially aimed at “updating socialism”, are in practice introducing elements of capitalism. Some 450,000 Cubans work in a budding private sector of farmers, co-operatives and small firms. Across the Florida Straits, the changes are causing long-monolithic support for the embargo to crumble. A poll taken in the United States for the Atlantic Council, a think-tank, published on February 11th found that 56% of respondents favoured normalising relations with Cuba. Days earlier Alfonso “Alfy” Fanjul, the patriarch of a pre-revolutionary sugar dynasty and long a pillar of anti-Castro Miami, told the Washington Post that he had made two trips to his homeland, talked to Cuban officials and would invest in Cuba “under the right circumstances”. Barack Obama, who briefly shook Raúl’s hand at Nelson Mandela’s funeral in December, has lifted some restrictions on travel and remittances to the island. Many observers expect him to take further steps in that direction and to revoke Cuba’s anachronistic designation as a state sponsor of terrorism—once November’s mid-term elections are out of the way. But only the United States Congress can fully dismantle the embargo. On February 10th the European Union, whose members maintain economic ties with Cuba, announced that it wants to start talks on a “political dialogue and co-operation agreement”. In practice many of its members have already sloughed off a “common position” adopted in 1996, a kind of embargo-lite that predicated closer links on promoting a transition to democracy. The EU was at pains to stress that this was not really a policy change, but it is. One thing the EU will keep doing is to complain about the lack of human rights in Cuba. Latin America has already stopped bothering. Last month Raúl hosted a gathering of the Confederation of Latin American and Caribbean States (CELAC), a body set up in 2011 explicitly to include Cuba and exclude the United States. In Havana the bloc’s leaders signed a declaration that stated that regional integration should “respect…the sovereign right of each of our peoples to choose its own form of political and economic organisation”. Many Latin American leaders see being friendly to the Castros as a cost-free way of showing that they no longer take political direction from Washington, DC, let alone Miami. (A handful would like to go further and be like the Castros.) Yet their declaration was a cavalier disavowal of the democracy clauses inserted into many regional agreements over the past two decades. It smacked of double standards: so quick to condemn dictatorships of the right, today’s crop of centre-left leaders are happy to give the Castros a free pass. Oddly this rush to hug a Cuban comes as reform shows signs of stalling. The pace of private-sector job creation has slowed. The government has shut down private cinemas; it has ejected several Western businessmen. A special economic zone at a new Brazilian-built port at Mariel has yet to attract foreign investors, because of the restrictions they still face. Many Cubans felt insulted when they were granted permission to buy new cars—at astronomical prices. The aim of the reforms is to allow the private sector to create the wealth that the state can’t. But the Communist bureaucracy still resists the notion that this has to involve creating wealthy people. If Raúl were to die before the reforms have created a broad coalition of winners, there would be a risk of backsliding. In fact, the key to speeding change in Cuba probably lies in Caracas. Thanks to an alliance forged by Fidel and Hugo Chávez, Venezuelan aid accounts for around 15% of Cuba’s GDP. Years of misrule have brought Venezuela to the verge of an economic implosion. It is the fear of losing Venezuelan petrodollars, as well as apprehension about the “biological factor” (as Cubans call the death of the elderly Castros), that drives the island’s halting process of change. For other powers the best way to help is through efforts that support Cuba’s budding capitalism without offering the Castros any political endorsement. WHEN the euro crisis was at its height it became commonplace for struggling European economies to insist that they were not outliers like Greece. Whatever their woes, they declared, Greece’s were in a class of their own. In Latin America, by contrast, the unwanted title of outlier has two contenders: Argentina and Venezuela. Both have been living high on the hog for years, blithely dishing out the proceeds of an unrepeatable commodities boom (oil in Venezuela; soya in Argentina). Both have been using a mix of central-bank interventions and administrative controls to keep overvalued exchange rates from falling and inflation from rising. Both now face a come-uppance. High inflation is a shared problem. 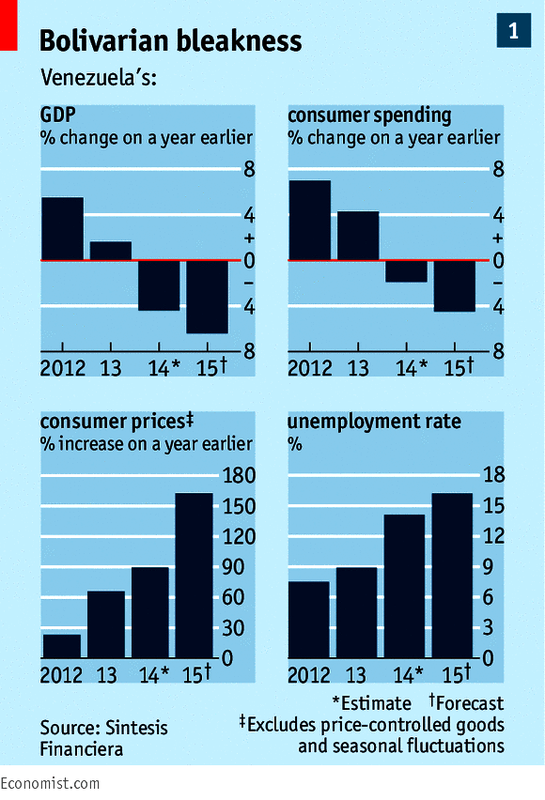 Argentina’s rate, propelled higher by loose monetary and fiscal policies, is unofficially put at 28%. Argentina’s official exchange rate is overvalued as a result, fetching 70% more dollars per peso than the informal “blue” rate in mid-January. Venezuela’s prices are rising faster still. 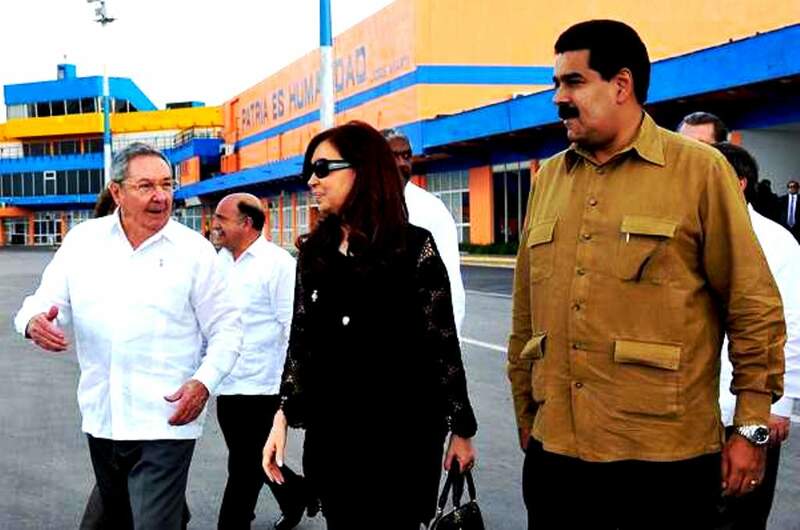 Last year, during an awkward political transition after the death of Hugo Chávez to the presidency of Nicolás Maduro (pictured with Cristina Fernández de Kirchner, the Argentine president), the Central Bank stepped up money-printing to finance public spending, pushing inflation to 56.2%. A dollar fetches 75-80 bolívares on the black market, up to seven times the official rate. Both countries have dwindling arsenals with which to defend their overvalued currencies. Venezuela’s reserves of gold and foreign currency, which stood at nearly $30 billion at the end of 2012, were down to just over $21 billion by last week. Only about $2 billion of that is in liquid assets. Ecoanalítica, a research firm, estimates that the government can also dip into around $13 billion of opaque, off-budget funds. Argentina’s reserves have also been tumbling (see chart). Something had to give, and late last month it did. Argentina first allowed the peso to plunge, by more than 15% in the week starting January 20th, and then announced a relaxation of the government’s ban on buying foreign currency for saving purposes. Argentines making over 7,200 pesos ($900) monthly are now able to change 20% of their salary into dollars at the official exchange rate so long as they get approval from AFIP, Argentina’s tax agency. The dollars are transferred to their bank accounts, not released in cash, and hit by a 20% fee if withdrawn before a year. If that sounds complicated, it is still cheaper than buying dollars in the illegal market. The government’s objective seems to be to close the gap between the official and blue exchange rates, alleviating the need to spend more of those precious reserves to prop up the official rate. Although the gap has closed a little, fear that devaluation will lead only to yet higher inflation explains continued high demand for dollars, even at the less favourable exchange rate. So too does the fact that only a third of Argentine workers meet the declared-income threshold for buying dollars, according to analysis by IARAF, a think-tank. 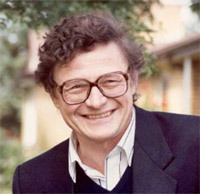 Guido Sandleris of the University Torcuato di Tella says the plan is doomed to failure unless the government becomes more open about its intentions and adopts a genuinely restrictive set of policies to battle inflation. Although the Central Bank this week raised one of its interest rates by a full six percentage points, rates remain below inflation, giving Argentines little reason to hold pesos. On the fiscal front the government needs to reduce subsidies and remain unyielding in the face of workers’ demands for pay rises. Miguel Kiguel of EconViews, a consultancy, says wage increases to be negotiated in March and April must remain under 30% if they are to serve as an anti-inflationary anchor. That will be hard given lavish pay awards handed out to striking policemen last year. At least Argentina’s partial liberalisation of currency controls is a halting step towards normality. Venezuela, where the situation is even more perilous, is heading in the other direction. On January 22nd the government unveiled new rules under which a higher rate for non-essential transactions is set weekly (it stood at 11.36 bolívares to the dollar this week). The old rate of 6.3 still applies for government imports and basic items such as food and medicine, so reserves will keep falling as the government defends the currency. The effects are already apparent. Foreign airlines have placed tight restrictions on ticket sales; some have suspended them altogether. Many drugs and spare parts for medical equipment are unavailable. Car parts, including batteries, are increasingly hard to find; newspapers are closing for lack of paper. The country’s largest private firm, Empresas Polar, which makes many basic foodstuffs, is struggling to make some products. In a statement Polar said the government owed it $463m and that production was “at risk” because foreign suppliers of raw materials and packaging were threatening to halt shipments. The government blames the crisis on private businesses and “irresponsible” use of hard currency by ordinary Venezuelans. It has ordered drastic cuts in dollar allowances for travellers, especially to popular destinations like Miami. Remittances to relatives abroad have also been slashed. In a bid to curb runaway inflation, it has introduced a new law restricting companies’ profits to 30% of costs. Long jail sentences await transgressors. Without a big injection of dollars from the state oil company, Petróleos de Venezuela, which brings in 96% of foreign earnings, the crunch will continue. Better terms for foreign investors in the oil industry would bring in much-needed cash and boost stagnant production. But unless the government abandons its antipathy to private capital, the prospect of new investment is dim. Shortages of goods are only likely to worsen. 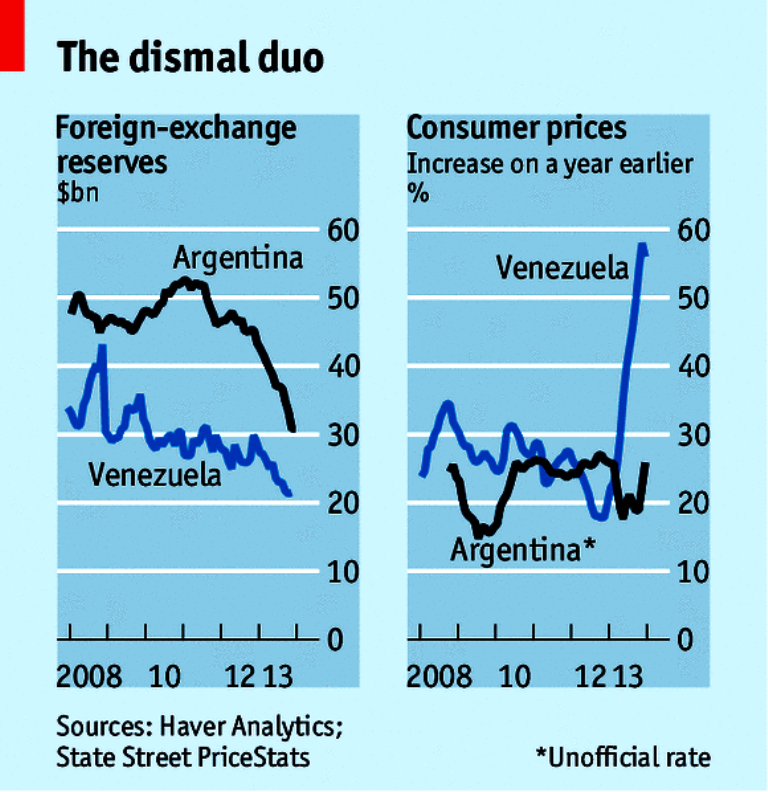 If Argentina is an outlier, Venezuela risks straying into a different category entirely.